Hi, your resident meteorologist/rugby enthusiast here for your Friday status update. Looking like we could get bad weather at 12pm tomorrow, so let’s be on time for a 9:30am start to get in a good run before that happens (I know, I know, I am also an offender). 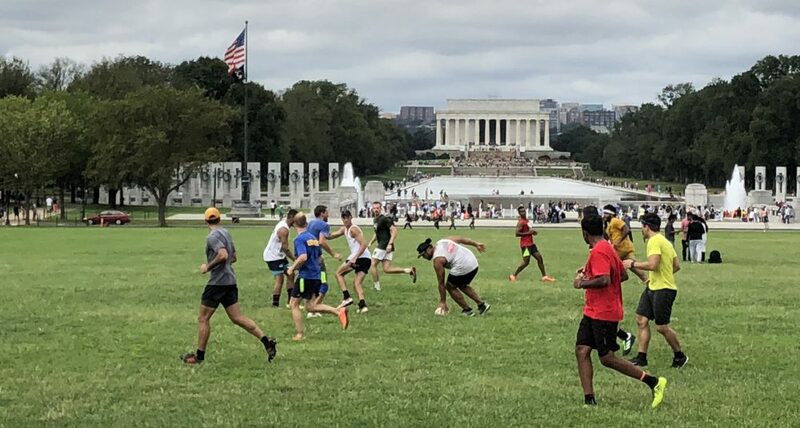 If anything changes I’ll let you know, but assume we are meeting @ 9:30am, Tidal Basin field.